I had a wonderful time yesterday at the Return to Rich's exhibit. 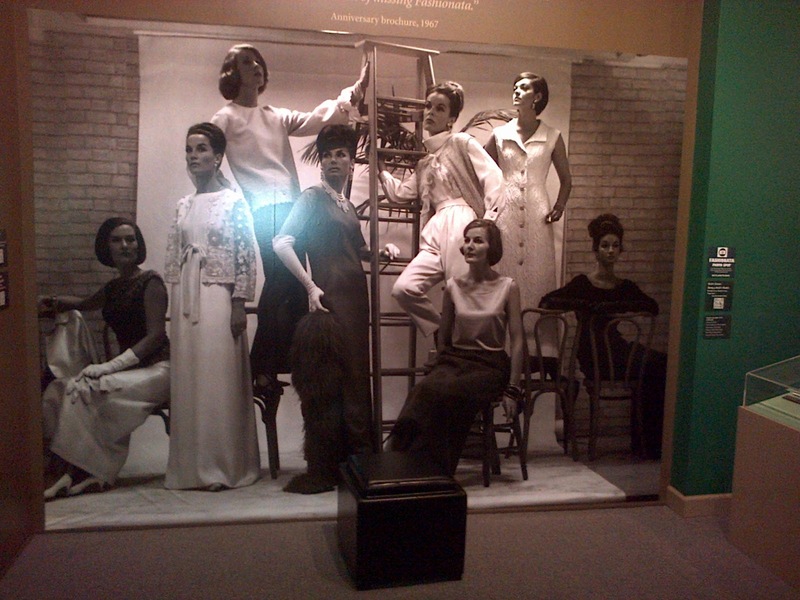 This exhibit at the William Breman Jewish Heritage Museum in Atlanta celebrates the history of Rich's Department Store. The exhibit closes May 27, 2014, and I would highly recommend it to anyone who is interested in Atlanta history. One of my dear friends from high school and her mother hosted a private tour and luncheon. I'll share a few photos with you, so you can enjoy the exhibit too. 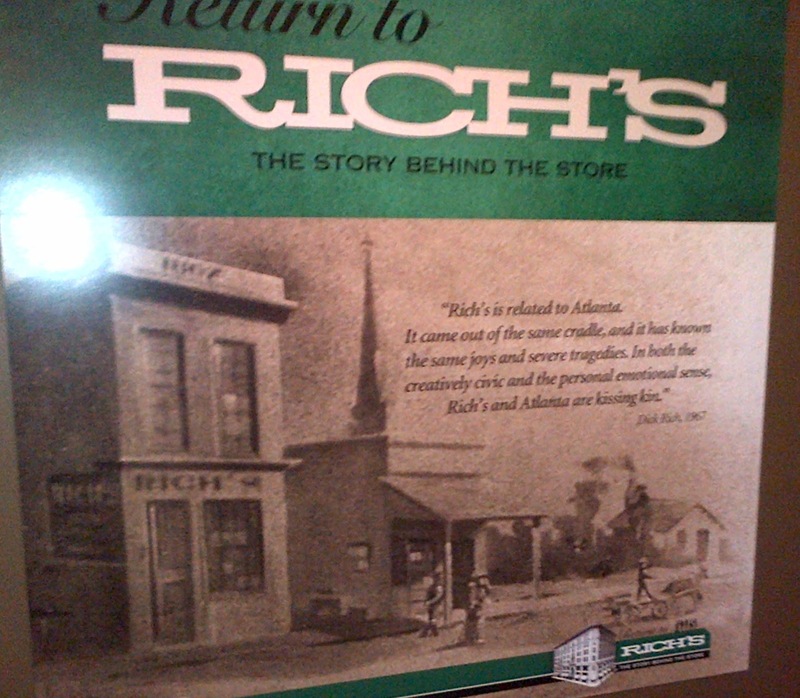 Rich's department store was founded in the 1870's, and the downtown store was built in 1924. It was an Atlanta institution until it closed in 1991. There were also stores at malls all over the Atlanta area. The mall stores were bought by the Federated department store chain. They were renamed Rich's-Macy's, and eventually became Macy's stores. 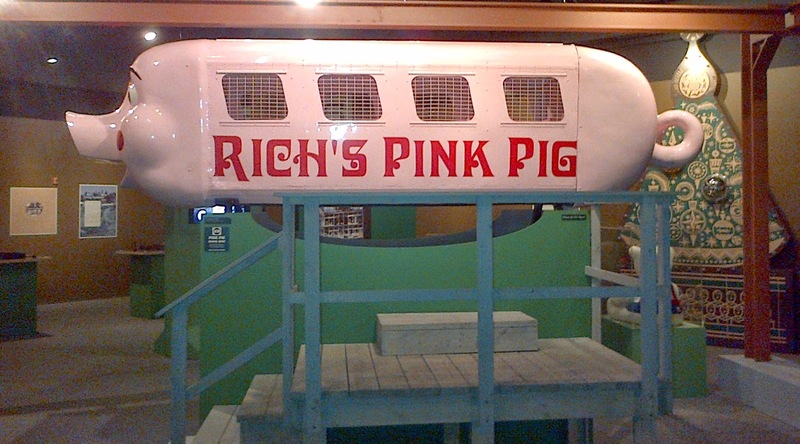 When I was little, we used to go downtown to ride the Pink Pig (photos follow!) and see the Great Tree (giant Christmas tree). The big downtown Rich's store had an amazing book department, and they had a restaurant called the Magnolia Room. My Mom and I used to go to fashion shows at Rich's North DeKalb (a small local mall) and we would buy Polly Flinders dresses and Buffy dresses (inspired by Anissa Jones from the television show Family Affair) at that store. I am pretty sure that all my Easter dresses came from Rich's. I worked at Rich's North DeKalb in high school in the Juniors department. At that point I was clothes crazy, so I loved that! Later, in college, I became really interested in cooking and worked a couple of years at Christmas (seasonal employee) at the same small store in Housewares - Kitchenware. 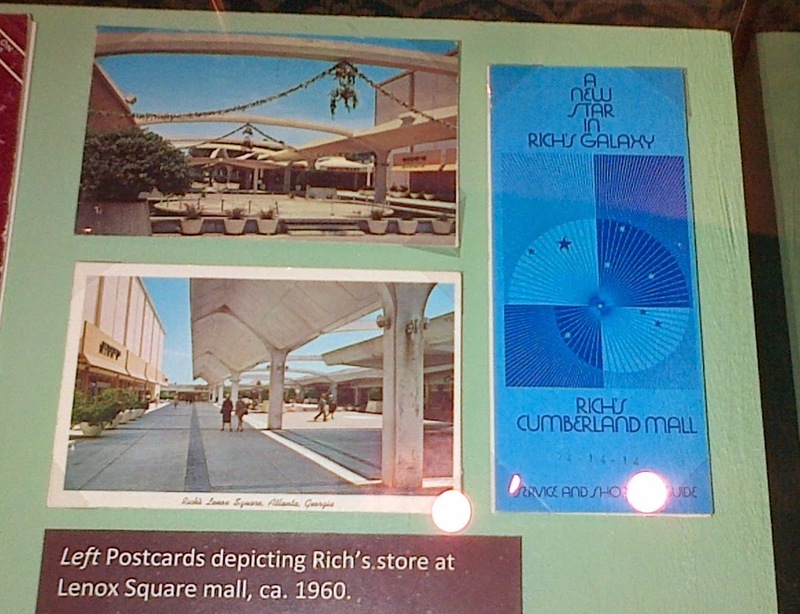 Here are a couple of postcards from Lenox Square mall, including Rich's. I would love to find some of these! 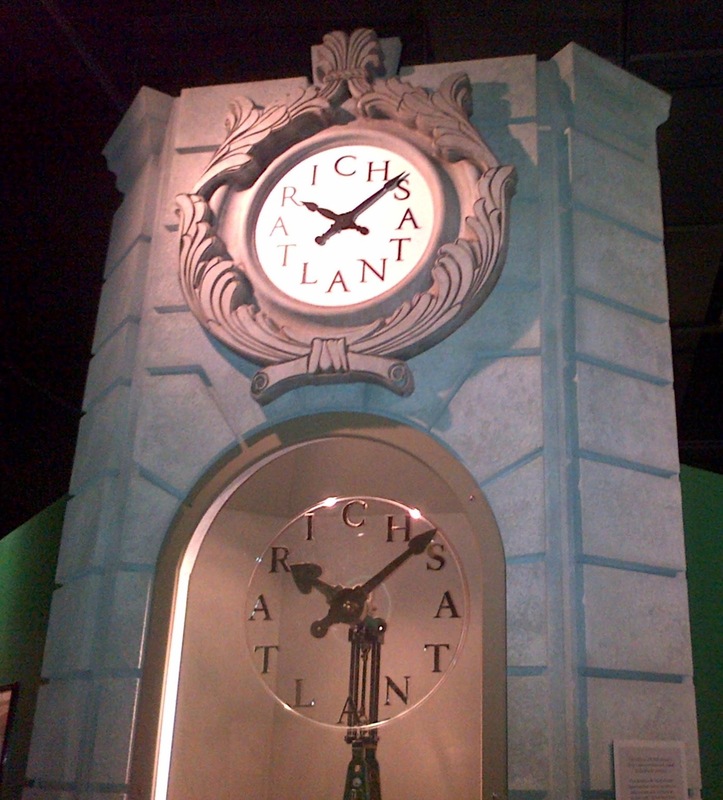 The Rich's clock is a famous Atlanta symbol ("meet you at the clock"). Another photo of Rich's at Lenox Square Mall. I loved going to Lenox Square when I was a little girl. It was an open air mall at that time, and they had giant, colorful balls in the parking lot to help you remember where you had parked. The mall design was very Mid-Century Modern. 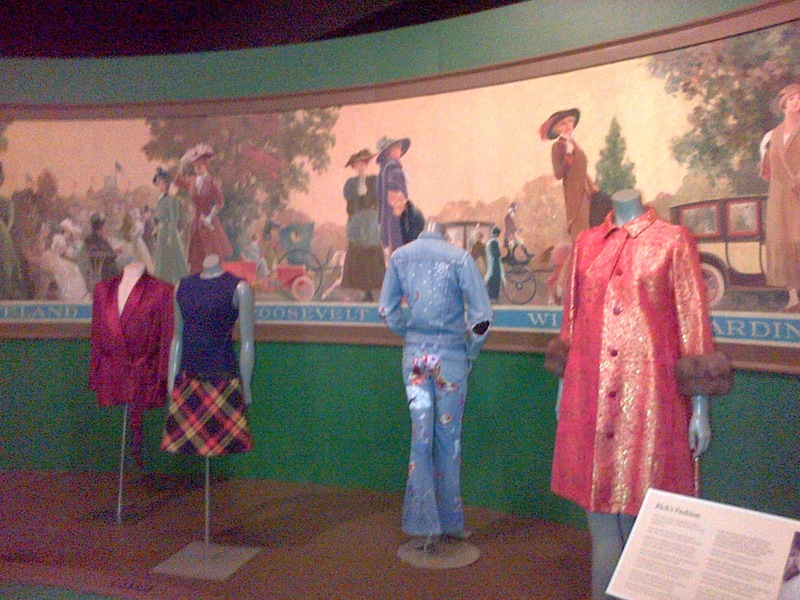 This vintage mural shows fashion through the years, with some photos of Rich's fashions. I love that 1960's sleeveless dress with plaid skirt. I would wear that today! This is a 1960's photo from Rich's Fashionata. This was an annual fashion show event held at the Fox Theatre downtown Atlanta. Note that one of the models on the right is holding a cigarette. Thankfully, times have changed! 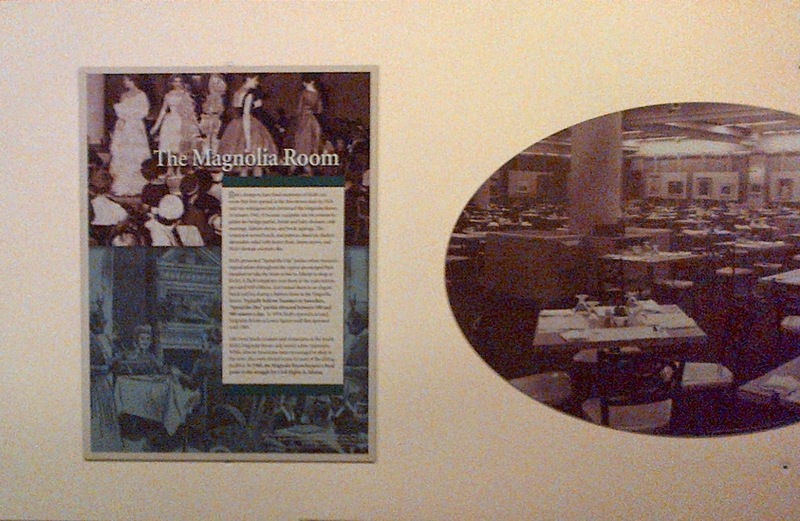 These photos depict the Magnolia Room restaurant at Rich's downtown. 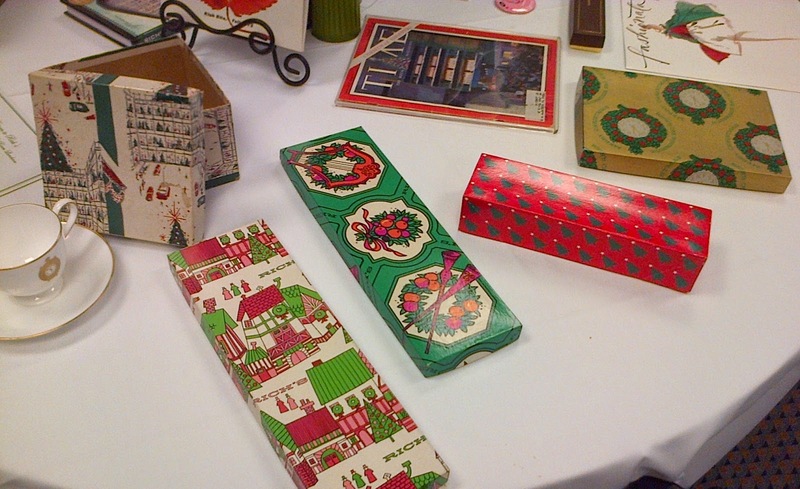 These items also are from the Magnolia Room. I remember the children's menu. I loved to go there to eat. It felt like such an event! 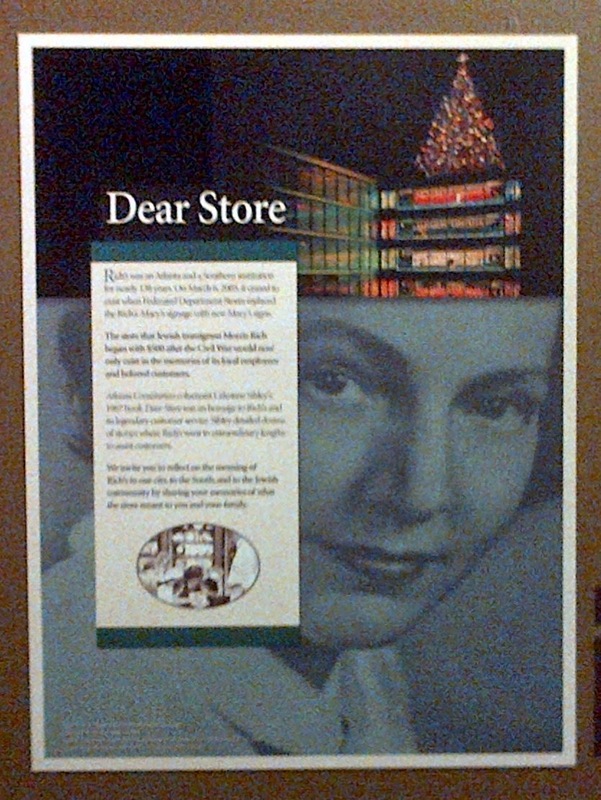 Atlanta Journal-Constitution author Celestine Sibley wrote a wonderful book about Rich's called Dear Store. It is hard to find, but worth a search. 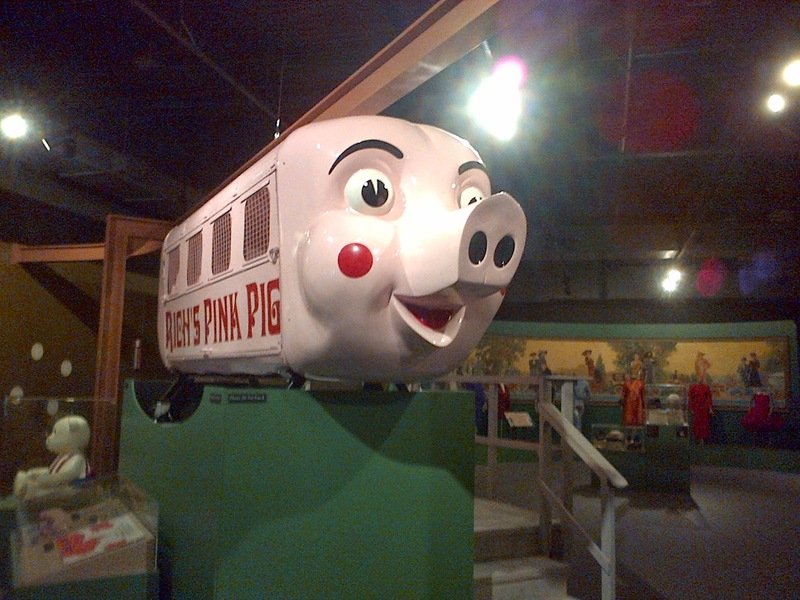 I loved Priscilla the Pink Pig! This monorail ran through the toy department at Rich's downtown. There was a reindeer petting zoo, Secret Santa shopping (where children could shop, supervised, for their parents), and photos with Santa. 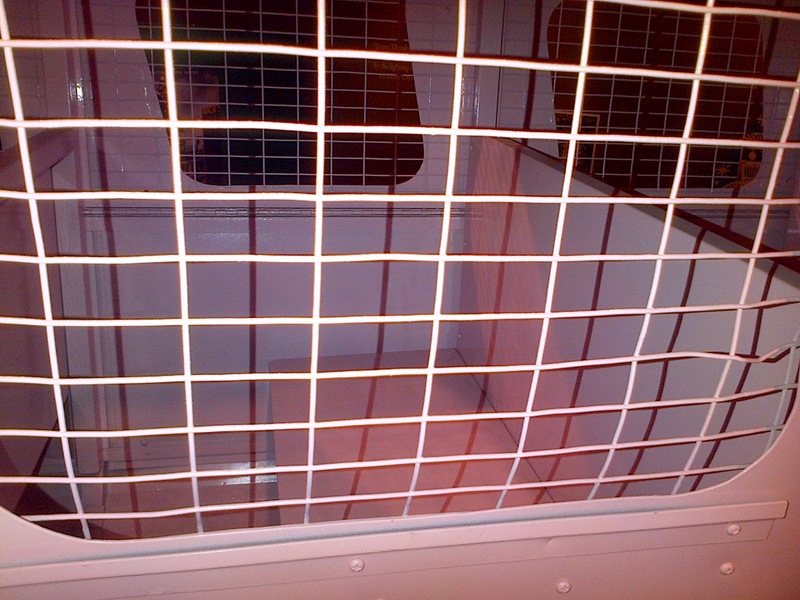 The third photo down (with pink wire) shows a close-up of the Pink Pig interior. The little seats inside the Pink Pig were tiny. 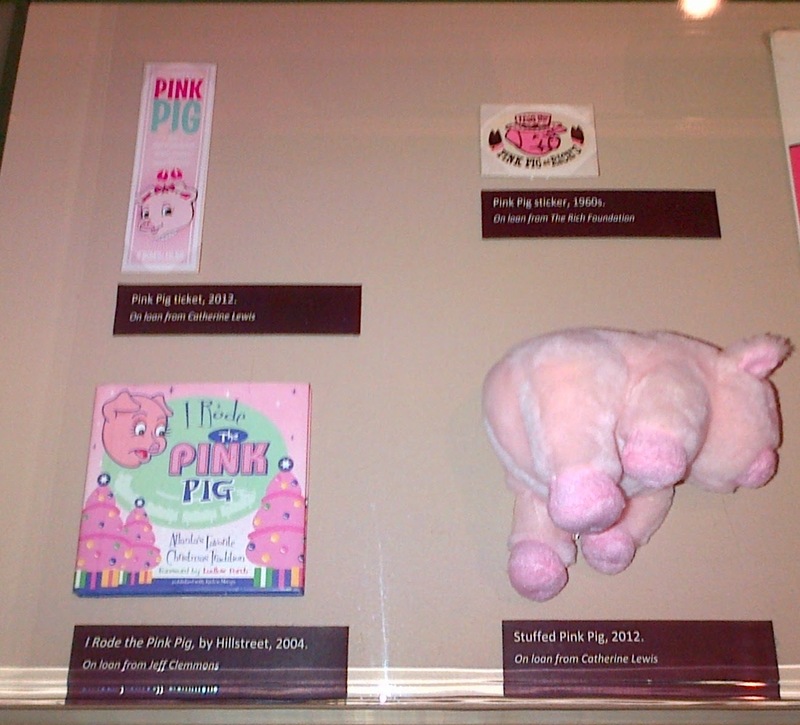 And there are more Pink Pig items as well. I have a copy of the book I Rode the Pink Pig. It is really cute and brings back lots of happy memories. 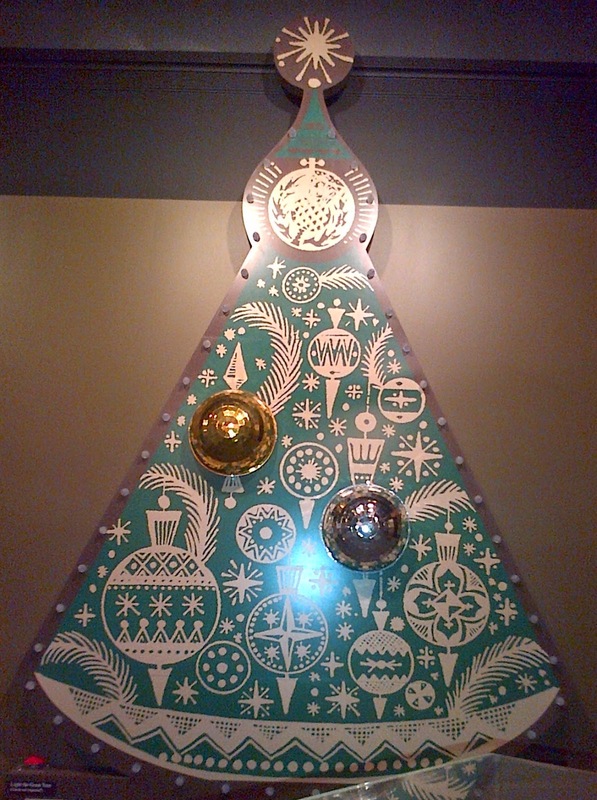 This is a tribute to the Great Tree, a giant Christmas tree displayed yearly at Rich's downtown. The lighting of the Great Tree was an annual event. 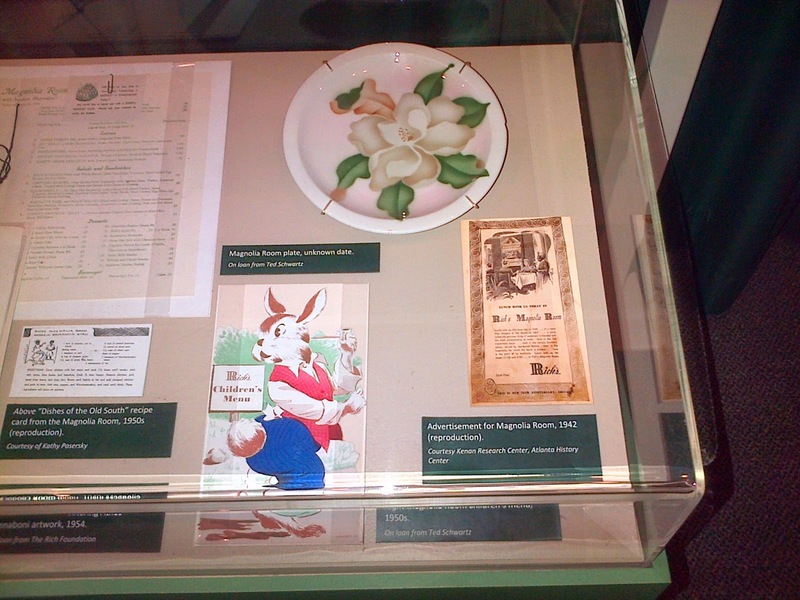 After the tour, we had a luncheon with dishes inspired by the Magnolia Room menu. My friend and her mother have an amazing collection of Rich's memorabilia, and they displayed it in the room where our luncheon was held. I hope you enjoyed traveling back in time to Rich's with me. Thanks, Trish! 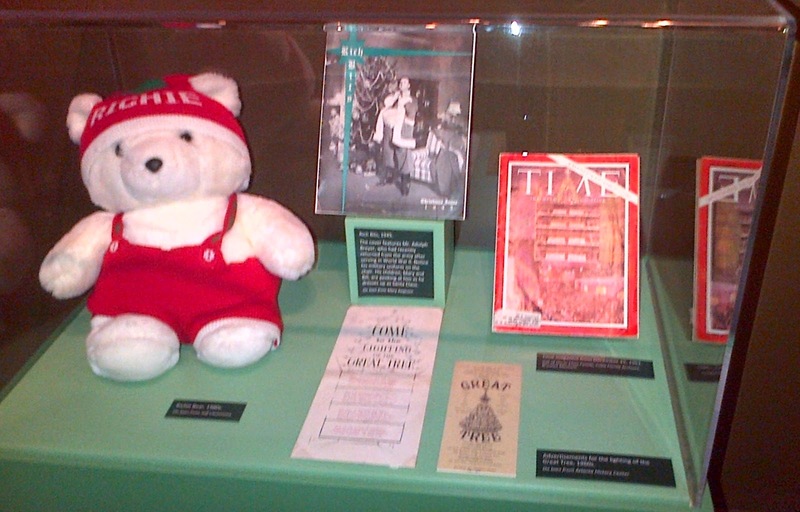 I really enjoyed reading all about the Rich's exhibit...plus your childhood experiences! 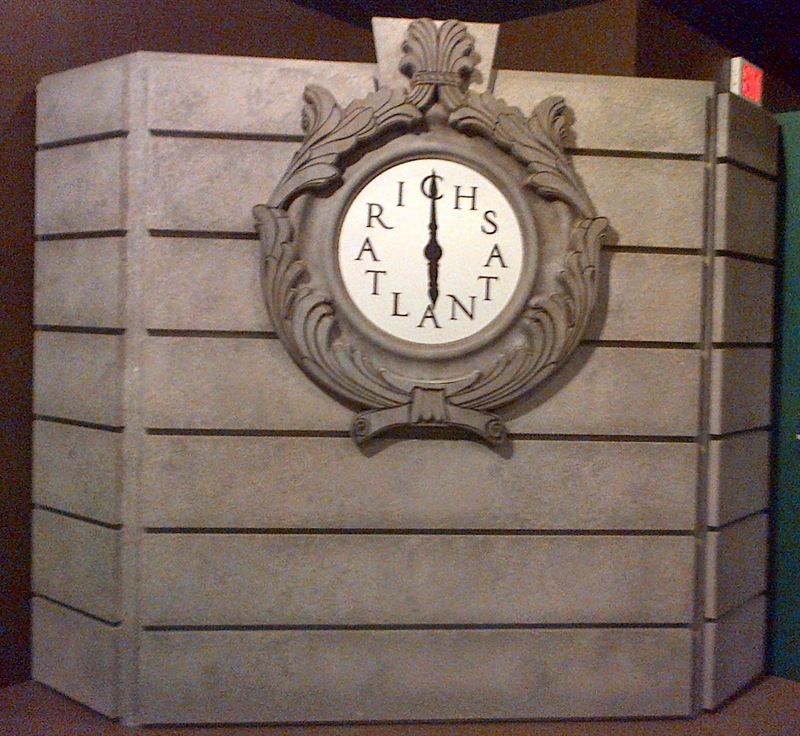 Wish I could have seen Atlanta's Rich's Department Store in it's day.